One thing cannot be questioned about the Baldwin Sharknose design, it could not be mistaken with any other diesel model! The Baldwin Locomotive Works was primarily a steam locomotive manufacturer (a quite accomplished one at that) and while its diesel locomotive switchers were somewhat successful the locomotive builder never did well in the diesel market, always in third place behind the American Locomotive Company (Alco) and the leader of the day, General Motors’ Electro-Motive Division (EMD). It is important to note that the Sharknose design is not exclusive to one, individual model as is often the case with other diesels that have a name attached to them. Instead, Baldwin built several cab unit models that employed the Sharknose carbody, ranging from four to six axles. Today, the last model it constructed known as the RF16 is the only domestic version that still survives as two are locked away in a Michigan warehouse. Although Baldwin never made the successful switch from steam locomotives to diesels, one of its more popular road unit models, at least among railfans, was the unique carbody design of the Sharknose, also regarded as simpyl "Sharks". In total, Baldwin would offer three different units with the Sharknose carbody; the DR-4-4-1500 of 1948, the DR-6-4-2000 of late 1948, and the RF16/RF615E of 1950 (this last model was a product of the Baldwin-Lima-Hamilton Corporation formed in 1950 through the merger of Baldwin and Lima-Hamilton through parent Westinghouse Electric). The creation of the new carbody was actually out of necessity. When Baldwin began cataloging cab units after World War II it used what only can be described as a knock-off Electro-Motive Division design with a low nose and large windows similar to the "Bulldog" look of E and F units. However, it was not very attractive and became known as the "Baby Face" design. As such, the company began looking for something new. The Company's Most Successful Cab Model, The RF16 "Shark"
A Fascinating But Failed Design, The DR-12-8-3000 "Centipede"
A Look At The Company's First Cab Carbody, The Unpopular "Baby Face"
The Baldwin Sharknose was very distinctive and could not be mistaken, much because of the fact that the model’s carbody was designed by legendary industrial engineer Raymond Loewy, who based the unit after the Pennsylvania Railroad's streamlined T-1 steam locomotive (Loewy was always well known for several designs among many different railroads, particularly during the streamliner revolution). 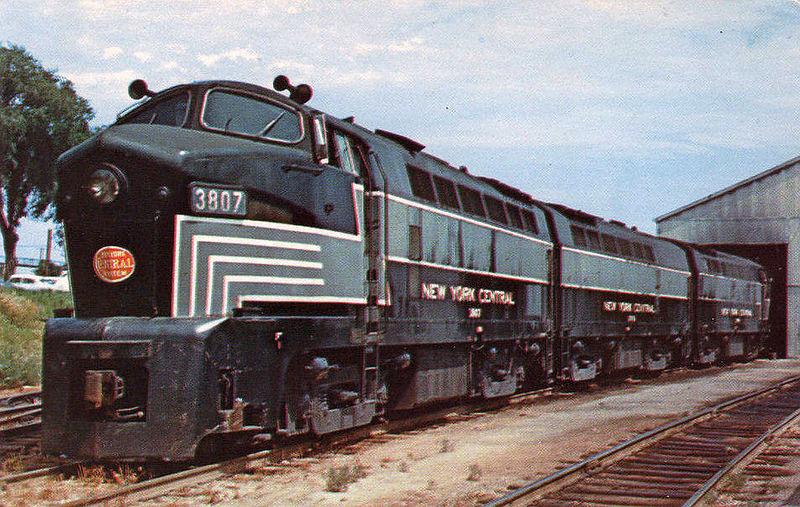 While somewhat overall similar in carbody design to that of EMD’s E and F series, and Alco’s PA, whereby the cab was situated to one end and behind the nose, the Sharknose was very unique in its styling. 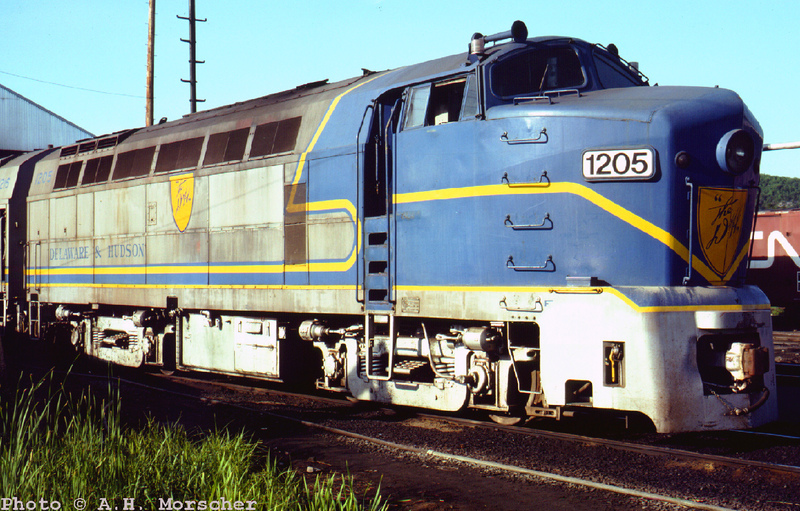 The nose had much sharper angles as opposed to EMD’s and Alco’s rounded curves, and it was tapered towards the headlight, giving the unit its nickname that it would forever be known by. The Sharknose's styling behind the cab was also more sharply angled than EMDs and Alcos in that the final three to four feet of carbody nearest the roofline was also tapered, giving the Sharknose a discrete streamlining which allowed it to be used in both passenger service as well as for freight assignments. As mentioned above, the Baldwin Sharknose model can be a bit confusing due to the several models that used the design. In 1950 the RF16 model was released, which included a new 608A SC, 1,600 horsepower engine. It was part of the company's new Standard line as it dropped the confusing letters and numbers it had previously been using to classify its diesels. Like its predecessor model the RF16 only enjoyed marginal success over the previous models, although it did become the most successful cab unit then BLH ever produced. While it has been argued as to the overall success of the RF16 in regards to its service performance one thing which cannot be argued was its dislike among the railroads who found the Baldwin Sharknose very troublesome to maintain, even with the new engine in the upgraded model. For this reason the Sharknose was only marginally successful and the design sold a little over 100 units, including B, cabless units. 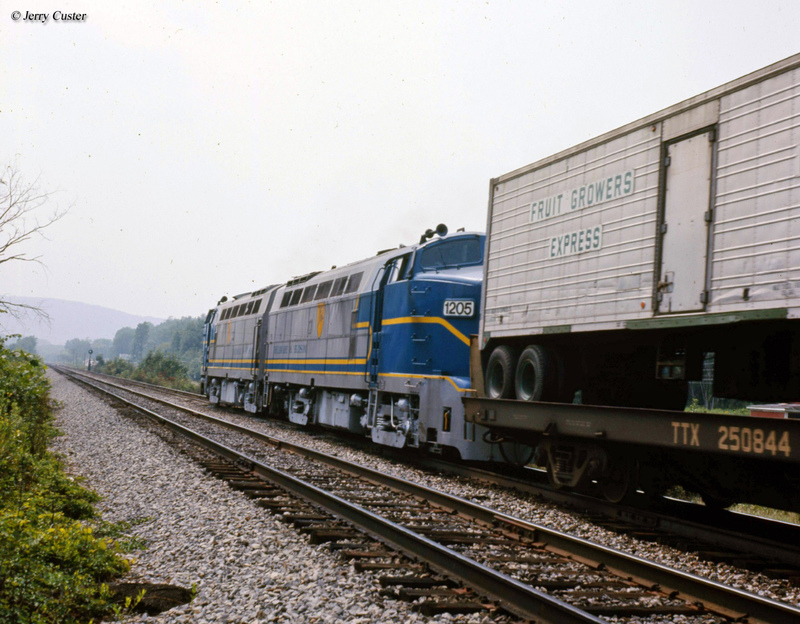 Today the Baldwin Sharknose no longer survives in either regular freight service or preserved. 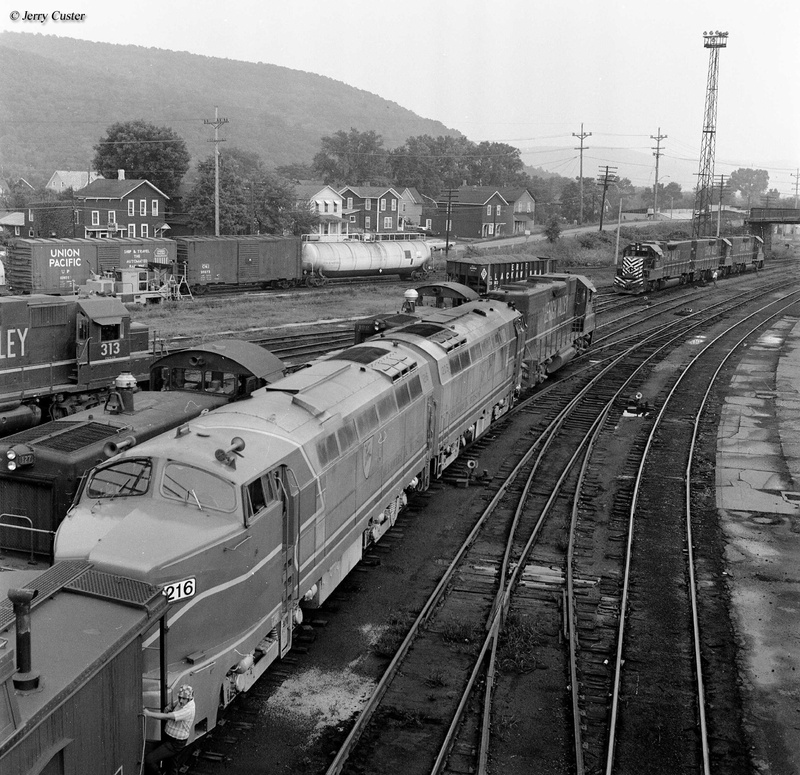 However, two units of the RF16 model, last used on the Delaware & Hudson Railway (numbered 1205 and 1216, which were originally purchased by the New York Central) in the 1970s, reportedly still survive in upper Michigan, in storage by shortline railroad Escanaba & Lake Superior (who also are said to have no interest in allowing the locomotives to be seen). Until recently, one could sometimes catch a glimpse of these units, as they were stored outdoors but were reportedly moved indoors after the units’ builder plates were stolen by vandals. As to whether the RF16s will ever be used again and/or showcased in a museum can only be guessed, although for history’s sake it would be great to see this happen, as the Sharknose is truly a unique and historic locomotive.